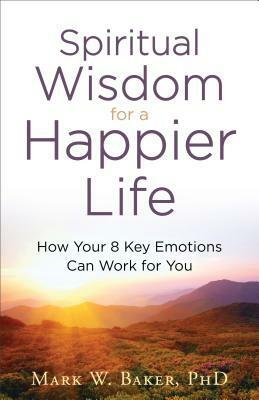 "Spiritual Wisdom for a Happier Life" is a book that tells deep truth about ourselves even when our circumstances are horrible. While we cannot change circumstances and we feel real human emotions, we must lean on the truth. Our emotions will lie to us, but the truth will always set us free. I love how this book is such a practical tool for anyone in the helping profession through stories, model, practical illustrations and opportunities to utilize reflective listening, the reader can learn how to better interact with people. This book will help you manage your emotions and it will help you, help others when they are going through difficult situations. The chapters are small and easy to digest, which doesn't make this book super wordy or hard to understand, which I love. Anyone can read this book, but as a Licensed Social Worker, I love this book. I really like the section on fear and that resonated with me a lot when I was reading the 9 key emotions. Overall, this is a book I will keep on my shelf and read from time to time. I give this book 4.5/5 stars. Thank you to the publishers for providing a copy. A favorable review was not required.